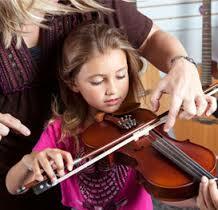 Learn More About Violin lessons click here. The school points out that traditionally when students are learning the Violin there are long periods of squeaky-sounding practice sessions or unpleasant tones as a beginning student would struggle to make the sound beautiful. Now, by using this system, students are able to solve problems on their own in the practice room and enjoy the beauty of the violin in the early stages. The system has been called the 7 Keys to Tone and is a super learning method for the Violin. The method works wonderfully for beginners, but even advanced players can use the method to further enhance their tone and heighten their skill. The method is fun for young students and works well for adults as it takes the mystery out of playing the violin beautifully. and awareness on the seven keys to tone. The Suzuki method music is very well written and when combined with the super learning method of the 7 Keys to Tone students can play beautifully much sooner. Students at the Eliason School of Music in Portland are using this method for all of their stringed instruments, including the Cello and the Viola in addition to the Violin. Concise strategies encourage targeted accomplishments for students in their school and community programs. Accomplishing musical skills can create a lasting love for music. Head teacher, Brian Eliason, has also incorporated the Seven Keys to Tone into an ebook that guides students and teachers through learning the method. The ebook has clear examples and visual guides, and it uses stories and analogies to show how to use the method. It is highly effective and a fun way to learn to play the Violin, the Cello or the Viola.